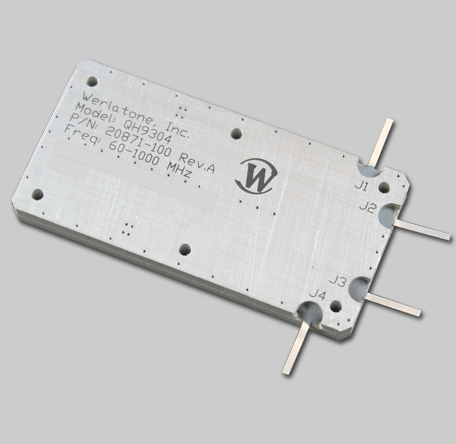 Werlatone supplies Model QH9304, a 90 Hybrid Coupler, that covers the full 60-1000 MHz frequency band. This chemically bonded, multi-layered structure is provided as a Drop-In unit, or with Tabs. Rated for 150 W CW, the QH9304 is ideal military and commercial applications.